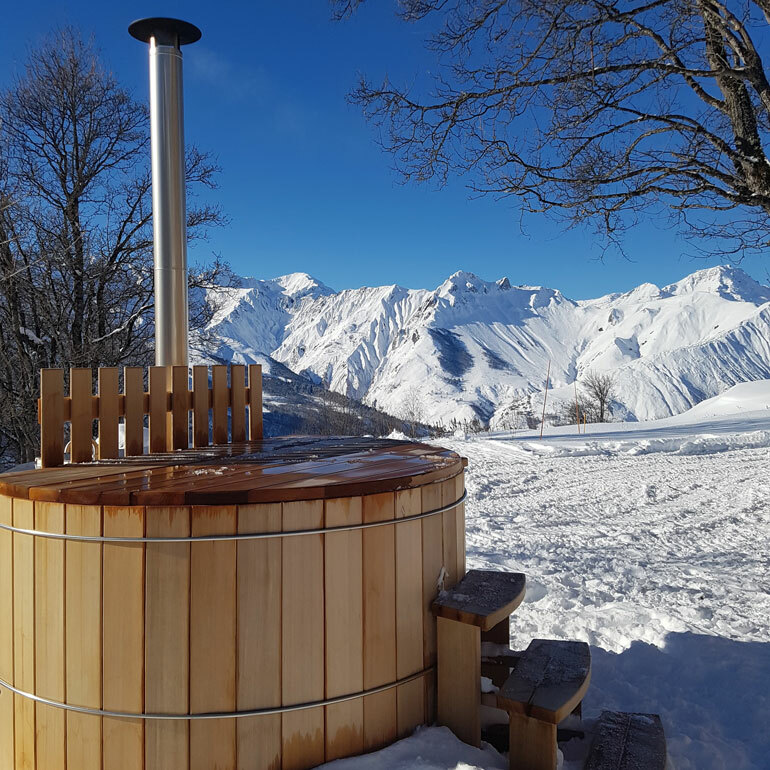 A unique and very special opportunity to stay high in the mountains at 1725 metres in an authentic Savoyard chalet in The Three Valleys. Discover the peace and tranquility of the mountains from this lovingly restored refuge. With stunning panoramic views you will be truly at one with nature to enjoy your gourmet break, winter or summer. Relax on the terrace, soak aching muscles in the wood fired hot tub or cosy up and watch the flames dance in the hearth, the choice is yours. 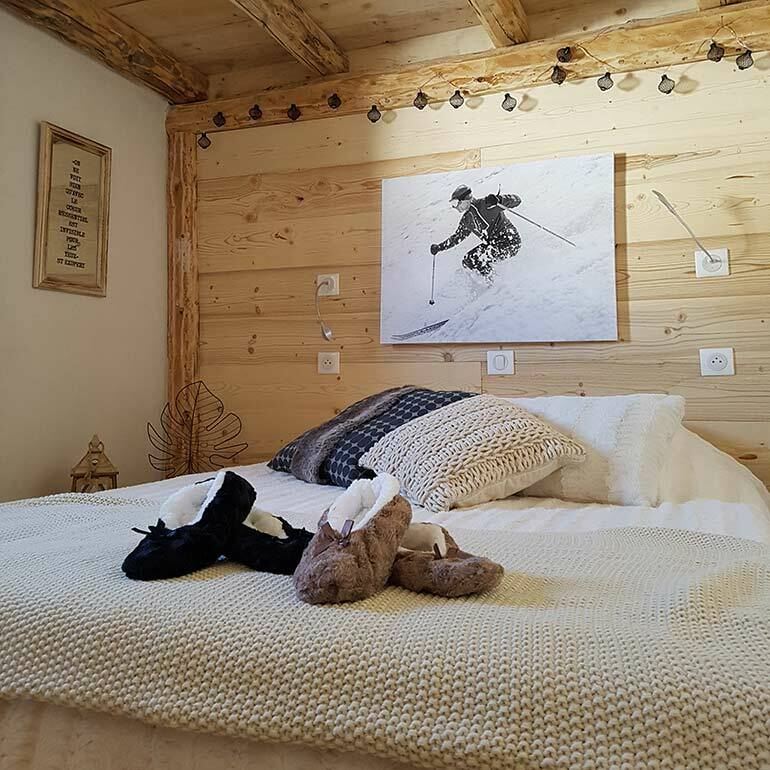 Accessible in winter by skis or snowshoes over the slopes or during the summer on foot via the hiking trails, a wonderful, never to be forgotten experience awaits you. We welcome you all seasons for lunch, dinner or overnight stays, whichever you chose we promise you a visit to remember. Lunches at Refuge Du Danchet. 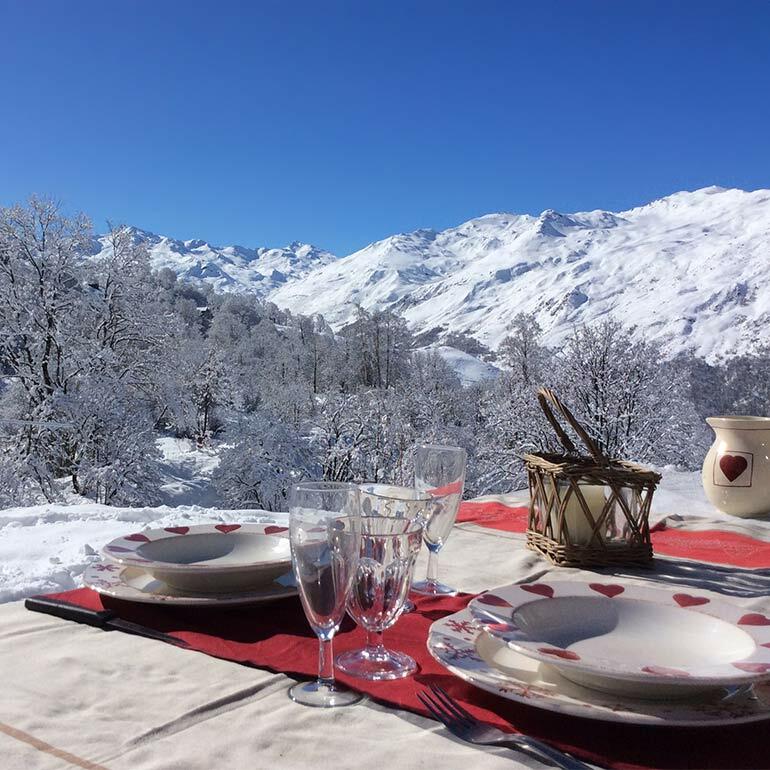 With only nature as your neighbour yet in the heart of the Three Valleys, take a break from your snow activities or hiking and enjoy delicious, typically alpine dishes imaginatively created using regional products. Discover the peace and solitude of the mountains at night. Let us create for you a magical and unforgettable evening that starts with a star light guided snowshoe hike from St .Martin De Belleville to the refuge. On arrival soak up the ambience and enjoy an aperitif by candlelight before settling down to a very special dining experience with accordion and typical Savoyard songs. 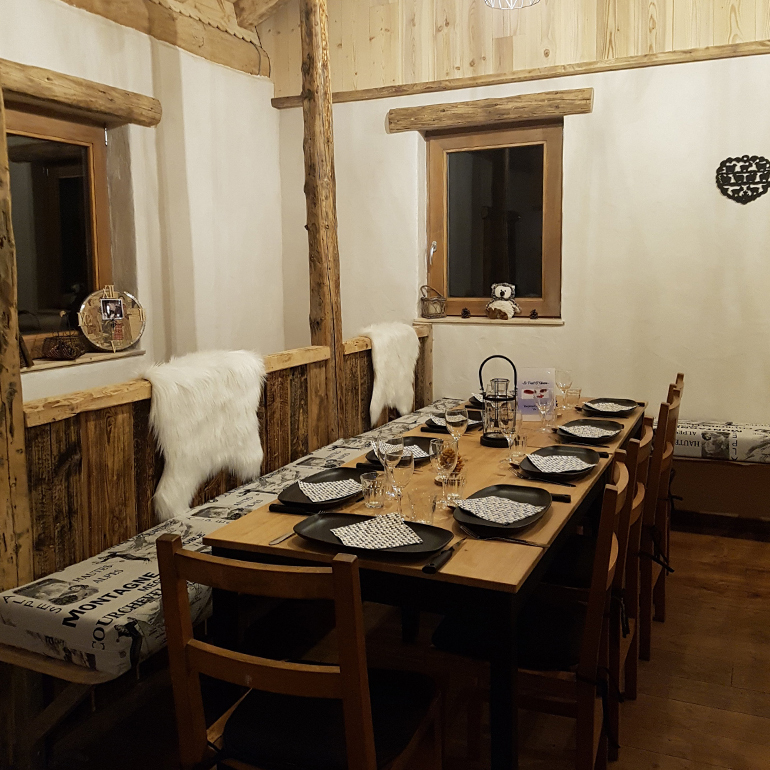 With full board, each evening starts with a homemade aperitif by candle light, all you need to do is relax and enjoy the beautiful landscape until it is time to take your seat for a delicious Savoyard dinner. Finish the evening around the fireplace and maybe try a genepy, a delicious local traditional drink and when your eyelids are heavy and the mountain air has cast its spell it is time to take to your comfortable bed. After a peaceful, refreshing sleep, start the new day with a nourishing breakfast ready to be first on those slopes or hiking trails. Work is progressing. Things were starting to take shape. Completed jobs. Enjoy the ambience of the refuge.